The book presents a rigorous reconstruction of Ricardo's contribution to economic theory and a unifying interpretation of the key issues of Ricardo's research. 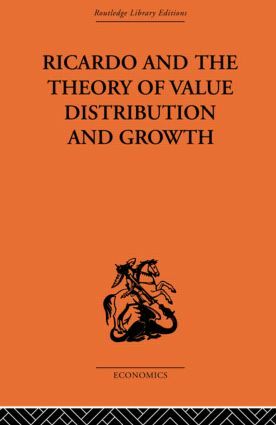 Part One deals primarily with the problems of value and distribution Part Two deals specifically with the issues of distribution and growth. * Contemporary economic literature in the fields of value, distribution and growth is witnessing a renewed interest in the approach of the classical school, notably in the work of David Ricardo.